If sophistication is what defines your style then this maroon dress is sure to make way into your wardrobe. 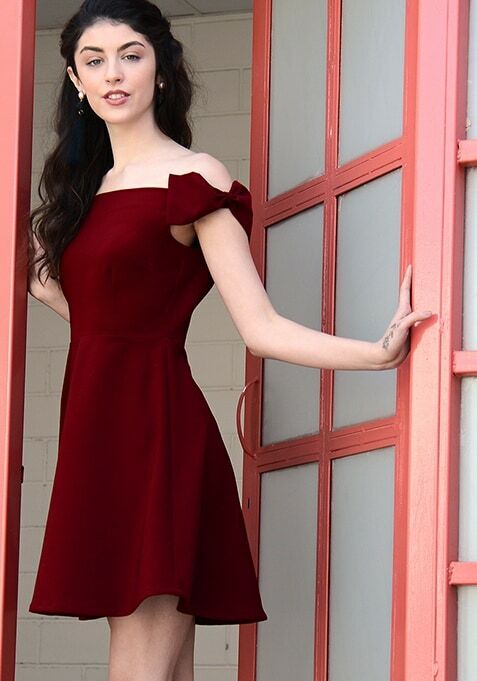 Featuring an off shoulder design, this dress has bow detail on its shoulders. Work It: Style it with gilded heels and a matching clutch and you are ready for that dinner date.